Larry is a lifelong resident of Bethlehem, PA. He is married to the former Beverly Dietz. They have two daughters; Chris is married to Rick Kunkle and they have three children (Kisslinger grandchildren obviously) Kayleigh, Alyssa, & Kevin. Mackenzie Ann is their youngest grandchild (Mother is Tiffany). 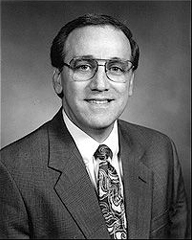 Larry graduated from Liberty High School and furthered his education with courses at Northampton County Community College, Penn State University (Allentown Campus) and Bethlehem Area Evening School.